Farmbird Lives on H Street — | The Style of D.C. When you walk into Farmbird you can’t miss the wall. “I will not eat any more boring chicken,” written over and over again. “Really (the wall) speaks to why we started Farmbird,” said Andrew Harris, one of the owners of the counter-service grilled chicken restaurant on H Street in northeast Washington, D.C.
“Grilled chicken, is this like overlooked, boring choice. I’m going to get salad with grilled chicken. That’s going to be healthy but it’s not going to be tasty. It’s probably not going to be very satisfying. We really built Farmbird about serving chicken that’s … not boring,” he said. 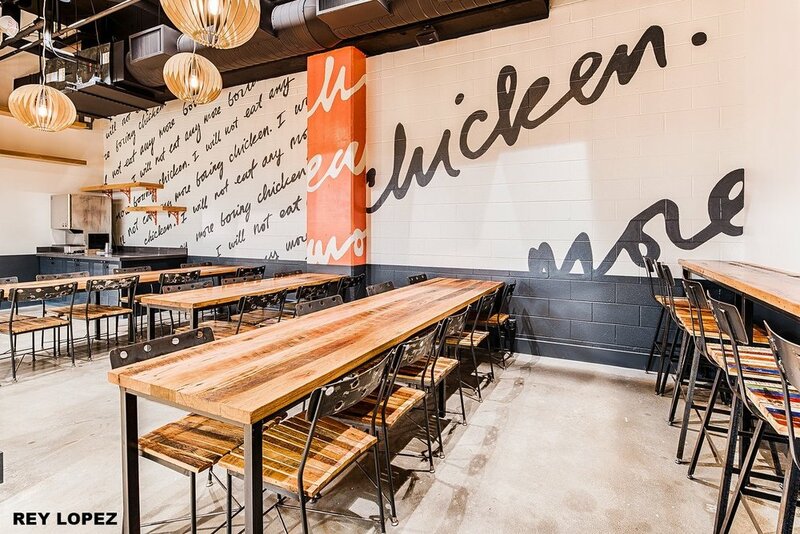 The wall reminds customers they won’t eat boring chicken at Farmbird. Harris, along with business partner, Dan Koslow, opened Farmbird in 2017 after running Farmbird as a catering business out of Union Kitchen. They knew chicken was served in a lot of establishments, but they thought if they “built an entire restaurant around serving awesome grilled chicken,” they could do a really good job. 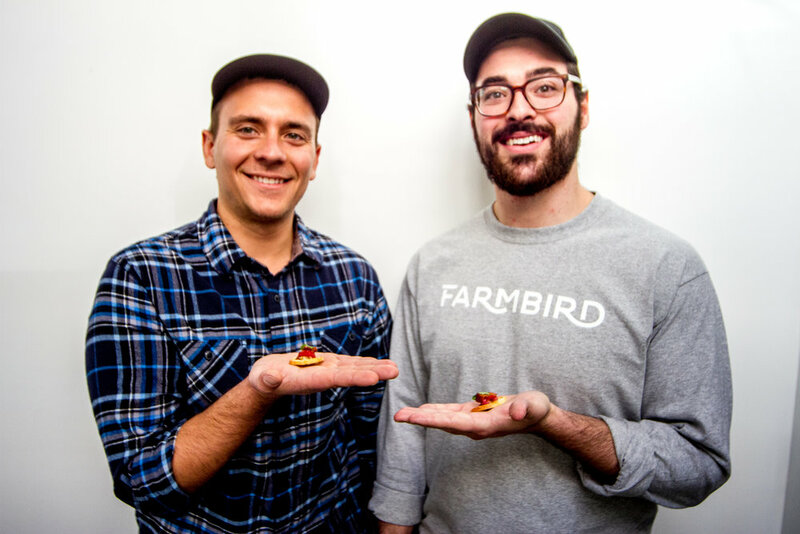 Andrew Harris, left, and Dan Koslow opened Farmbird in 2017. The restaurant features plates, salads and sandwiches – all featuring grilled chicken. With a focus on chicken breasts and thighs, the preparation is different for each. Both are served boneless, Harris said, but the skin is left on the thigh. For the plates, the chicken is placed on either a bed of brown rice, riced cauliflower or super greens and comes with a side or two. Harris said Farmbird’s most popular plates are a toss-up between the avocado basil and the barbecue ranch plates. Harris and Koslow are not D.C. natives, but they noticed the district’s food scene. Harris and Koslow got to know the H Street corridor while running their catering business in NoMa — the neighborhood north of Massachusetts Avenue. They’d go to H Street to grab a bite to eat or get a drink.